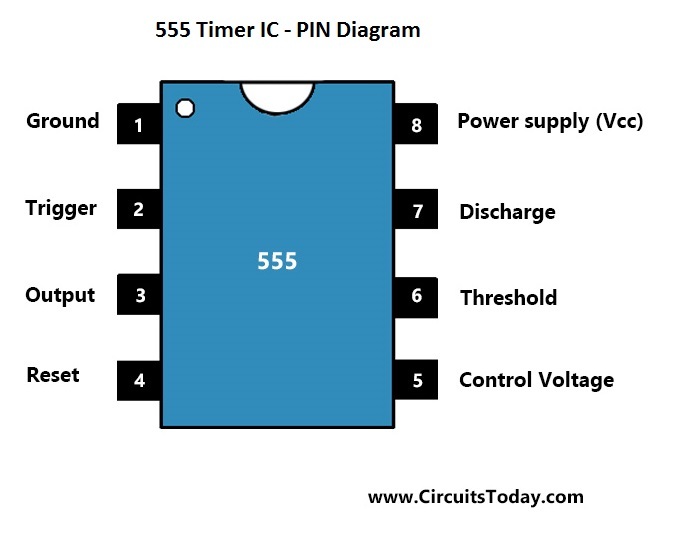 What is a 555 timer IC? A 555 timer IC, is a multipurpose integrated circuit chip, that finds its application in timer, oscillation and pulse generation circuits. It is one of the prominent and popular inventions of the electronic world. A monolithic timing circuit, the 555 timer, is equally reliable and cheap like op-amps working in the same areas. It is capable of producing stabilized square waveforms of 50% to 100% duty ratio. Hans R. Camenzind, designed the first 555 timer IC in 1971, under an American company Signetics Corporation. It is this design work of his, that is most prominent in Hansâ€™s distinguished career in the field of Integrated Circuit technology. In the summer of 1971,Â first design was reviewed, that used a constant current source and had 9 pins. After the review was passed, Hans thought of a new idea of replacing the constant current source by a direct resistance. This reduced the number of pins from 9 to 8, and enabled the chip to be fit in an 8 pin package instead of a 14 pin package. This new design was passed in the review in October 1971. The IC consists of 25 transistors, 2 diodes and 15 resistors. In order to define the timings, provision to attach R and C externally is provided. In 1972, Signetics Corp. then released its first 555 timer IC in 8 pin DIP and 8 pin TO5 metal can packages, as SE/NE555 timer and was the only commercially available timer IC at that time. Its low cost and versatility, made it an instant hit in the market. It was later on manufactured by 12 other companies and became the best selling product. 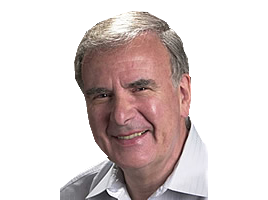 Although, there is a belief that this IC got its name from the three 5k resistors in its internal circuit, Hans R Camenzind revealed in his book, â€œDesigning Analogue Chipsâ€, Â that it was Signetics manager, ArtFuryâ€™s, love for the number â€œ555â€, that led to the naming of the circuit. The basic working tutorial of timer 555 IC has been discussed in our article â€œ555timer- A complete guideâ€. Through the years, electronic hobbyists and engineers have explored various areas where this IC can be used. From temperatureÂ measurement to voltage regulators to various multivibrators, this ICÂ has found its prominent place in thousands of applications.Â The implementation of 555 TIMER IC depends on its operating mode. It is this versatility of 555Timer IC, that makes it useful for many applications. Basically, a 555 timer IC has three operating modes. Depending on which type of multivibrator, (astable/monostable or bistable multivibrator) is to be used, the operating mode of 555 timer is selected. For example, if we want to design a monostable multivibrator, we will wire the 555 timer in the monostable mode. These multivibrators are used in various two state devices such as relaxation oscillators, timers and flip flops. Using the variable “control” input , a 555 timer IC can be used to create a pulse width modulation (PWM) generator. The duty cycle here, depends on the analogue input voltage. This operation of 555 timer can also be seen in Switched mode power supply (SMPS)circuit. As these SMPS circuits work on pulse width modulation (PWM) , the 555 timer turns to be the most prominent choice for the designers, as it is cheap and easy to incorporate in a circuit design. Here in these circuits, two timer ICs are used; one operates in astable mode and the other in PWM mode. 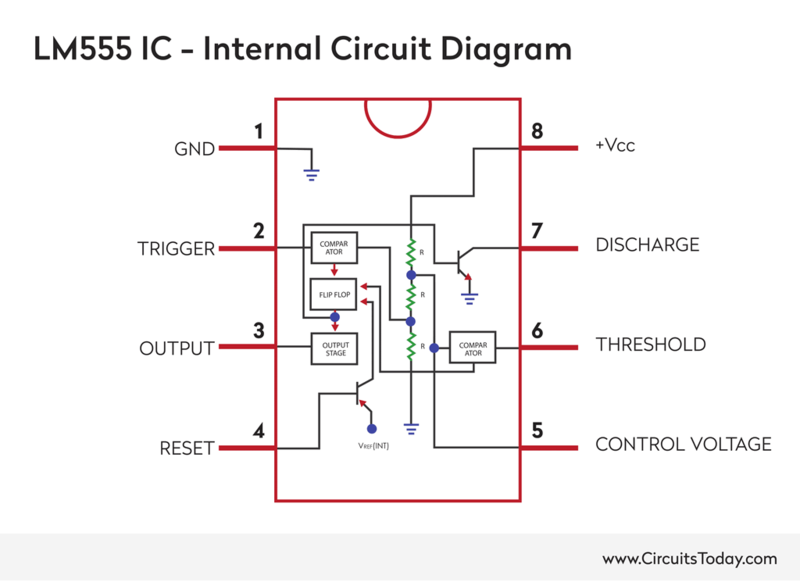 Â Another area where 555timer IC is implemented is in small DC-DC converter circuits. The 555 Timer when operating in astable mode, can produce a continuous stream of pulses of specified frequency. The IC output is fed to the converter to produce desired output voltages. These converter circuits have wide industrial applications. Other circuits which use 555 timer include that of temperature measurement, moisture measurement waveform generators, various timer circuits, etc. In recent times, the CMOS version of the IC is most commonly used. Among them, the popular ones are the ICs manufactured by MOTOROLA like MC1455. It can be directly used as a substitute to the original NE555 IC. This IC is pocket-friendly and costs around 0.28 US$. Ever since the first IC was manufactured, over 12 independent companies have fabricated the same. The original design had some design flaws like unbalanced comparators, large operating circuits, and sensitivity to temperature. Hence, Hans R Camenzind, redesigned the existing IC to diminish the design flaws. The design of this IC was better than its original design. The improved IC was then sold by ZSCTI555 but could not create a buzz like the original 555timer IC did. Hence the original design continued to be a hit in the market. 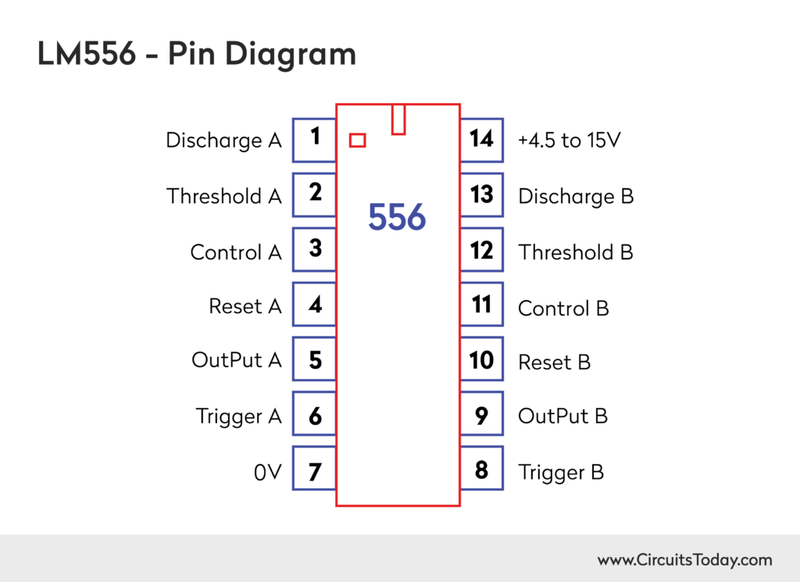 However, the classic bipolar 555 IC version like NE555 IC, uses bipolar transistors, which dissipate large amount of power and produce high current spikes. Hence, these ICs could not be used in low power applications. This paved a way to the design of a new and version of the same, the CMOS version. CMOS stands for â€œcomplementary metal-oxide semiconductorâ€ and uses a combination of both n-type MOSFET (NMOS) and p-type MOSFET (PMOS), in enhancement mode. All the PMOS transistors have input from either the voltage source or from other PMOS, whereas, all the NMOS transistors have an input connected to ground or to other NMOS transistor. This composition leads to reduction in the power dissipation and lower current spikes. 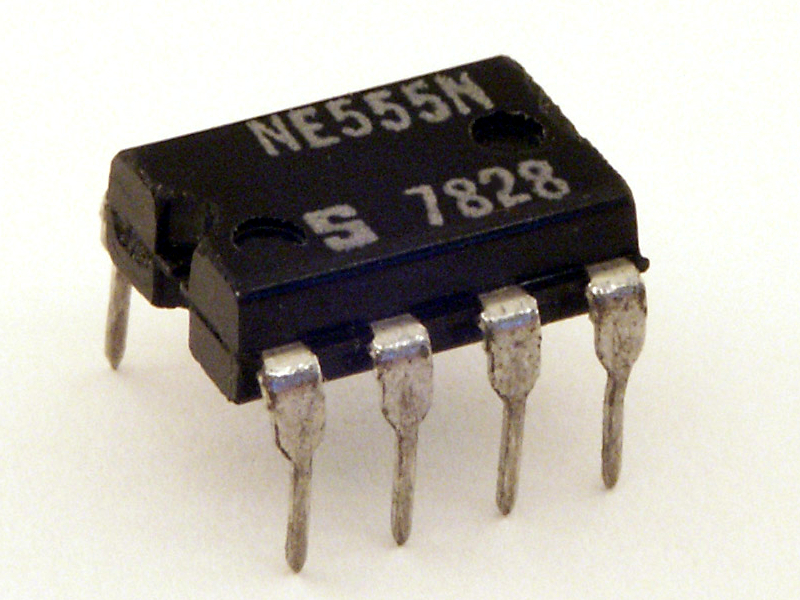 An example of the CMOS version of 555 timer is LMC555 produced by texas instruments. Now we know what all a single 555 timer IC can do. This means a 555 timer can be used as an oscillator and as a pulse generator in the same circuit. For this purpose, numerous pin compatible derivatives, for both bipolar and CMOS versions of 555 Timer IC were produced by many companies, over the years. The ICs are available either in round metal can package, or the more commonly seen 8 pin DIP package. 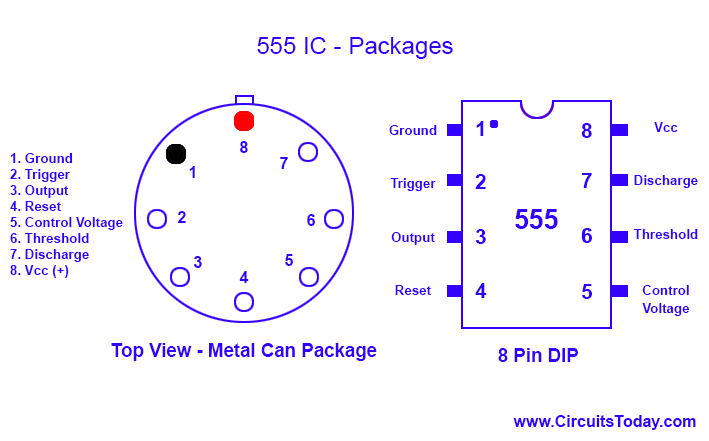 A 14 pin package variation of 555 timer IC, called the 556 IC, was manufactured which had two 555 timer ICs in one chip. Here, the two ICs share a common ground and supply pin. The other 12 pins are allocated to the inputs and outputs of individual 555 timers. LM556, a dual timer IC manufactured by texas instruments is one such IC. These IC s are ideal for sequential timing application. Other derivative in 16 bit DIP package, the 558 and 559 had four ICs, in which DIS and THR were connected internally. The 558 IC , is a quad ICÂ and is edge triggered. This eliminates the need of using coupling capacitor for sequential timing applications. Simple & clear central idea. Paper has some fine insights & interpretations in it. Good article about 555 timer, it is very useful for those who intend to doing projects in this area. The mode of writing and language makes it more simple and beneficial.